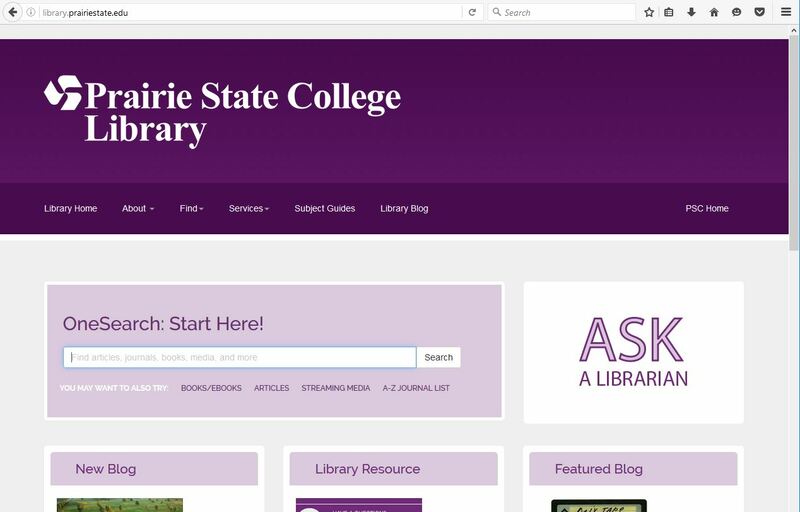 As many of you know, the PSC Library offers access to a huge number of eBooks. While some of these are fiction, the vast majority are non-fiction titles that cover all the difference academic subjects. 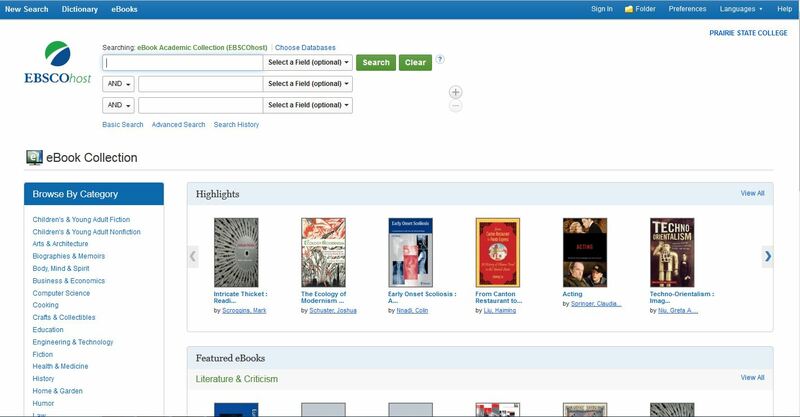 In fact, even though the library holds around 30,000 physical, printed books, we provide access to over 100,000 eBooks! Recently, the library switched its main eBook provider, so I’d like to go over some of the basics of the new system. 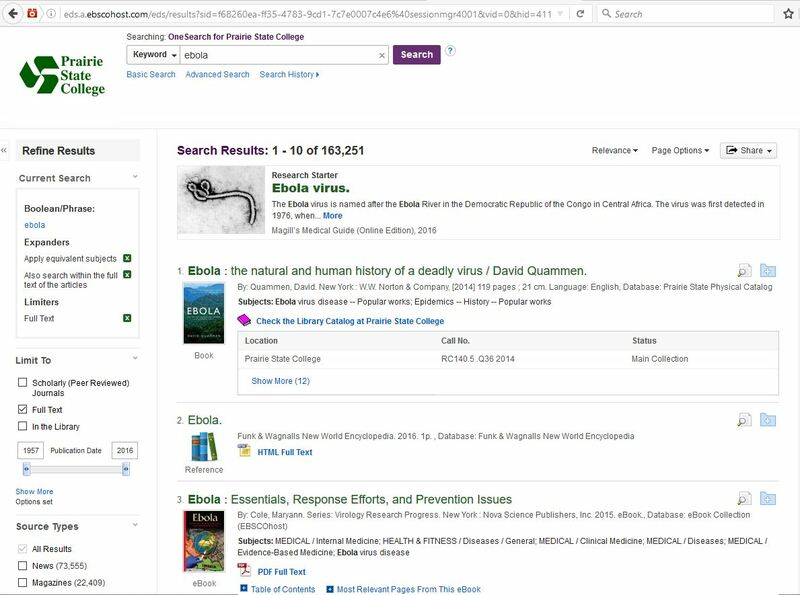 The quickest way to find eBooks is to use OneSearch on the main library website, just as you would to find other library resources. As you can see, the results for this search include a print book for the first result. 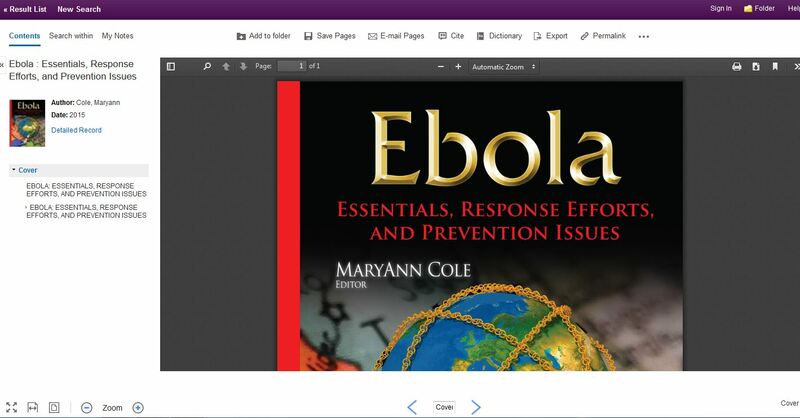 But in the third result, you see the title Ebola: Essentials, Response Efforts, and Prevention Issues. That book is an eBook, as indicated in the text under the book cover image. Also note the link that says “PDF Full Text.” If you click on that, you will be taken to a page where you can read the book in its entirety. Note the arrows in the middle of the page, which allow you to advance to the next page, or go back to a previous page. You can also click on the Table of Contents link, expanding sections by clicking on the “+” boxes. By doing this, you can link to individual sections of the book. 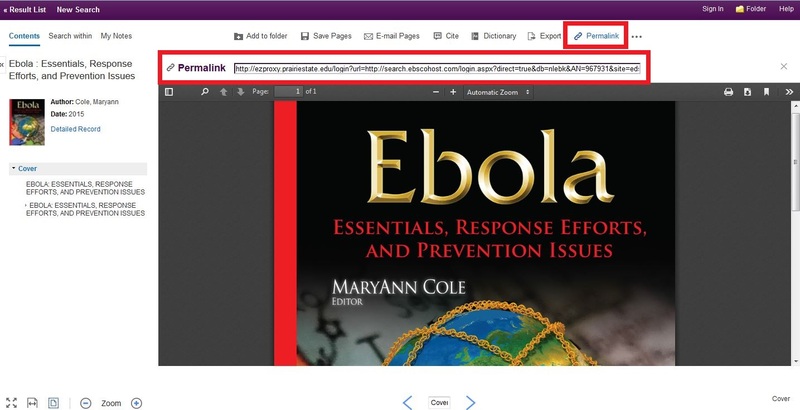 If you would like to send a link to an eBook to your professor or other student, make sure to use the “Permalink” button at the top of the page and copy the URL that opens up when you click on it. From this page, you can also easily get a citation for the eBook. 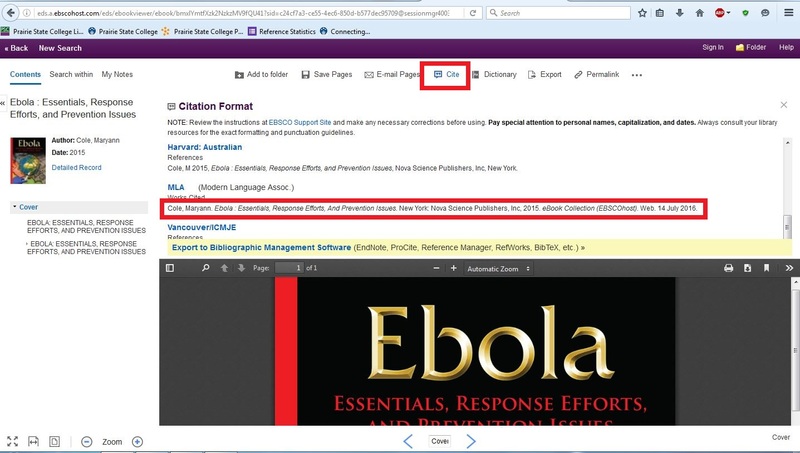 Simply click on the “Cite” button at top, scroll down to find the citation format used in your class, and copy and paste the citation into your document. Remember to double-check the citation for accuracy! While this tool is a great time-saver, it is not perfect, and is no substitute for an understanding of citation practices. As you can see in the images above, there are also buttons that let you save and email pages. You can use these to remember important pages, and to send yourself a link to eBooks in which you have found useful information. As with most PSC library resources, these eBooks are available off-campus. If you use OneSearch from off-campus, remember to click on the guest access link at the top of the screen, where you will be asked to enter your login information. Feel free to ask a librarian if you have any questions, or if you’d like a tutorial on eBooks or other resources! Previous postWhat’s something you want to learn about Sharks — or the Ocean in general? Next postSelect the Right College for You!